This game is also shot with a shotgun and is shot over a number of different stations that are set apart normally by more than 15 yards and connected by a trail. This is to lend to the feeling of being out on the hunt. The birds that are thrown should simulate the flight of a bird or other animal while on the hunt. This is done with one or two traps per station and throwing the birds in either singles or in pairs. The pairs can be in report, following or true pair. 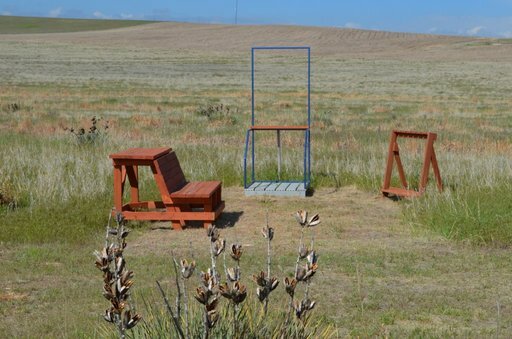 When the range is complete, we plan to have 24 stations on the Sporting Clays range or two fields of 12 stations each. We have started this range with only ten stations at first and continue to expand till we reach the maximum stations that are planned. We plan to have carts to rent. The speed at which this will be accomplished will be controlled by the demand of the membership.